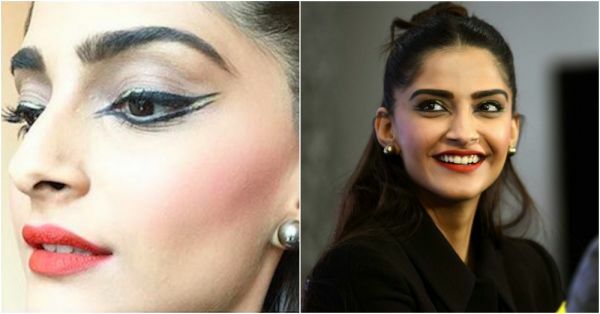 Tuesday Tutorial: How To Do Sonam’s FAB Double Winged Eyeliner! 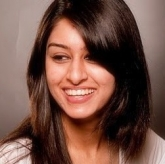 Trust Ms. Kapoor to forever surprise us, not just with her wardrobe but with her striking makeup moves too! You can’t deny that she totally slayed her look with those statement wings - and now so can you! We tell you how to ace double winged eyeliner for twice the magic. You’ve finally perfected those flicks (well, almost!) so why not take it up a notch with double the drama? Get ready to be the centre of plenty of attention the next time you go out! Step 1: After you have cleansed and applied your foundation/ concealer, turn your attention to your eyes. Apply eye shadow in a brown/ neutral shade to give more depth to your eyes. Step 2: Now instead of lining your eyes first, start by drawing your upper wing and extend it into the line over your lids. Use the end of your eyebrow as your aim. This can be easier to draw those tricky flicks. Once you have lined your lids, extend it slightly downwards in your inner corners – don’t worry it’s much easier than drawing those flicks. Step 3: Now line your lower lash line and, using the upper wing as your guide, create your outer flick and then your inner one. Both wings should be parallel to each other. * Note: Try and draw thin lines to make it look less messy and cleaner. If you feel like your flicks are too thick, use a Q-tip dipped in eye makeup remover to clean between them and make them more defined. Featured Image: Viral Bhayani HAVE A STORY IDEA FOR POPxo? If you want to hear about it, we can write about it! Just tell us your idea here! MUST-READ: Tuesday Tutorial: The *Simple* Contouring Guide For Beginners! MUST-READ: Tuesday Tutorial: The Easiest Ways To Curl Your Hair At Home!